The Knaresborough Players were founded in January 1962 and put on their first production, The Happiest Days of Your Life, at Holy Trinity Church Hall in May that year. For two years the Players had no permanent base, but they produced nine shows in that time, including Cinderella, their very first pantomime, mostly performed at Holy Trinity Church Hall. In 1963 a dilapidated building off the High Street, known as the Elephant and Castle Ballroom, was bought by a local businessman Frederick Frazer. He offered it to the town at a peppercorn rent as a public hall, but only the Knaresborough Players, in desperate need of a home, showed any real interest. They hired the hall and put on Robinson Crusoe in February 1964, the first of many shows at the venue. In 1968 it was renamed by the Players as the Frazer Theatre, in honour of their benefactor. 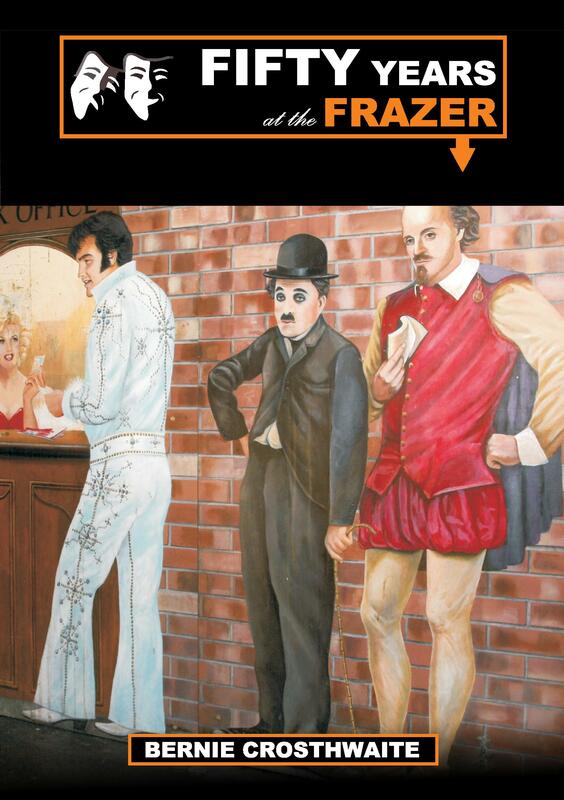 In the last fifty years the Players have put on over 250 productions, most of them at the Frazer. They have transformed what was once a chilly empty shell of a building into a fully-equipped working theatre. In 1981 they bought the building outright for £12,500. Another huge fund-raising effort, known as LIFT OFF (Let’s Improve the Frazer Theatre – Our Fighting Fund), resulted in the extension of 2009, including new foyer, kitchen, toilets, disabled access, tech box, community room and storage, all of which have greatly improved the facilities and the visual appearance of the theatre. Both the auditorium, which has a seating capacity of 127 plus three wheelchair spaces, and the Community Room are available for hire. The Knaresborough Players run a full programme of events throughout the year, including the popular annual panto, full-length and one-act plays and the occasional musical. It is the home of the Nidderdale and District Drama Festival of One-Act Plays, and for Knaresborough’s summer arts festival feva. The Frazer Theatre Comedy Club has become a popular fixture on the Knaresborough calendar since it started in November 2014 and has hosted many fantastic comedy acts. In 2016 the Frazer expanded it’s comedy offerings with the inaugural Knaresborough Comedy Festival which saw 3 days of top acts previewing their Edinburgh Festival shows. Plans are in progress for the comedy festival this year which will be even bigger and better than last year! Frazer Theatre Music brings a range of music gigs to the Frazer ranging from popular artists such as Kiki Dee, Beverley Craven and Martin Turner of Wishbone Ash, to nostalgia bands covering music from the 50s, 60s and 70s and also local up and coming acts such as Holly Rose Webber and Two Tone Rust. The Knaresborough Players are a limited company, while retaining their full charitable status, and have around 50 members. All activities are carried out by volunteers. The upkeep of the theatre is funded through theatre activities and major future developments include improvements to the roof and the upgrading of the land around the theatre. The comedian Ken Dodd said recently, ‘Every town needs a theatre. It’s the hub of a town’s life. It reflects the character of the people who live there.’ Every town should have a theatre, but many don’t. If Ken Dodd is right, then Knaresborough is a very lucky place. For more details of the fascinating history of the Knaresborough Players and their theatre you can buy a copy of the illustrated booklet Fifty Years at the Frazer by Bernie Crosthwaite (£3) at Castlegate Books or ring 01423 866658.